As we evolve our consciousness we become more aware of the hidden psychic powers that we each have. Our psychic powers are based on our unique Zodiac Sign because our Sign is what gives us a big part of our psyche configuration. Once you know your psychic abilities, practice it with acceptance and confidence. The more you tap into it, the more you enhance your ability. 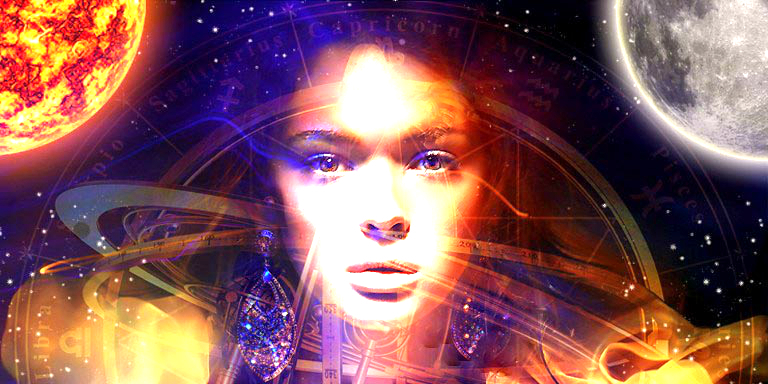 Take a look at your Zodiac Sign and discover the secret psychic power that’s hidden within you. Your psychic power is being in the right place at the right time. It’s easier for you to find the latest popular sensation without effort. Like, while taking a random walk, you come upon a group of people who are entertained by a performer. You found out this performer is honing her talents in front of family and friends. And it turns out, this talented performer is going to make it big, selling millions of dollars worth of concert tickets in the years to come. Your psychic power is sensing boundaries. As a bull, you have this understanding of boundaries. You know how tension arises when these boundaries are invaded. You find it easy to never cross the invisible line that people establish between themselves and others. And you also know when others are trying to get past your personal boundary. When they do, you’re not afraid to confront them immediately before things get worst. Your psychic power is finding the right words. Geminis have this flair of connecting to their five senses that they seem not to need a sixth sense. As a Gemini, you’re a great speaker and know the right words to say. People may wonder how did you know it. But you just knew it because of your psychic ability to pull the right words out of thin air. Your psychic power is trusting your gut. Because you have the emotional ability to sense what others are feeling, it’s easier for you to know what’s going to happen. When faced with a bully whose only making an act, they’ll interpret your empathy in action as an act of bravado, without them knowing that it’s your psychic sense that gives you the confidence. Your psychic power is finding the right timing. As a Leo, you are strongly connected to the rhythm of life, moment by moment, psychically and magnetically. You show up at exactly the right time. The party is 6:00 P.M. and you arrive at 9:30, exactly the time when the real fun begins. You tend to know when to come, when to speak up, or when to make a move. Your psychic power is sensing opportunities and threats. You have the ability to know an information beforehand and can even predict things correctly. Your psychic sense tells you how the building looks like in the following year on today’s vacant lot. This allows you to know when to move to a neighborhood that promises to be an ideal place to raise a family. Your psychic power is knowing others much better than yourself. You have the ability to read other people, understand their motives and know their next move. Only that, it’s a mirror. You fail to know yourself enough and even overlook your own accomplishments. When someone gets close to you, you tend to lose your sixth sense. Your psychic power is filtering out the surface layer. You are deeply affectionate and express it intensely. Words are too weak for you to use in your pursuit of passion. You have the ability to distinguish a flirt from someone who’s looking for real love. And your psychic sense allows you to read lust and spin that around. You also can sense when someone has a genuine interest in your friend. Your psychic power is divining success. Sagittarius is a natural optimist. This makes you know where to look for the exact opportunities. Some people may use charts and graphs and seek help from consultants. But you don’t need all of them because you tend to know where to put your bet either in business or in love. You are greatly successful in pursuing achievements. Your psychic power is knowing the right pace.